Tickets went online today for the 31st Wigan International Jazz Festival with Ian Darrington at the helm. 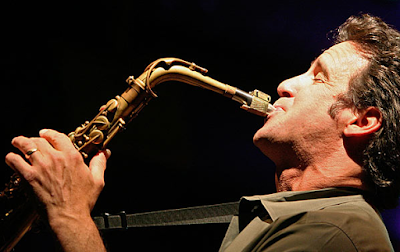 A number of acts have been announced including headliner Georgie Fame and saxophonist Eric Marienthal. The four day festival will run from Thursday 7thth July until Sunday 10th July, opening with a performance by vocalist Georgie Fame and the Guy Barker Big Band. Wigan Youth Jazz Orchestra celebrates their 40th birthday this year and they'll be celebrating in style with a special concert featuring US sax star Eric Marienthal. There will be also be a performance by NATO's official musical representative, the SHAPE Orchestra ( Supreme Headquarters Allied Powers Europe). All of this and more in a packed festival - audiences are advised to get their tickets early to avoid missing out. Tickets can be purchased on the online box office and more information can be found on the Wigan Jazz website.